A new era has begun at the Berlin fashion-house, Hermione Flynn. As a trained performance artist, Flynn has always pioneered clothing design centered around artistic concept, social commentary and mixed media presentations. As one not to shy away from innovation, Flynn is now embracing and pioneering 3D as her chosen medium of artistic communication. 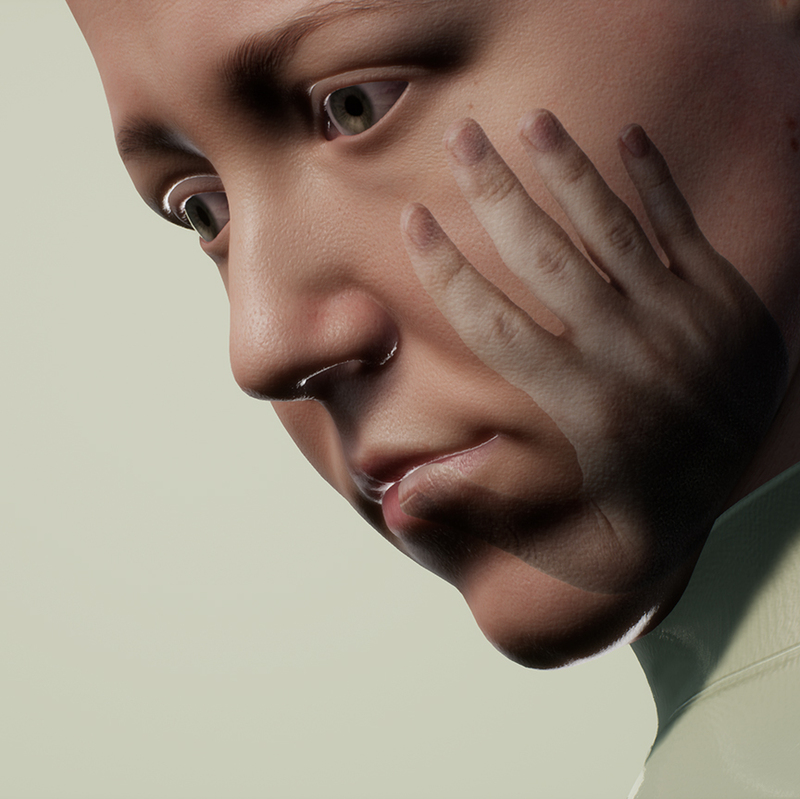 This shift in Flynn's process has resulted in the creation of a highly accurate and realistic 3D replica of the designer's own physical form. This digital-double will function as Flynn's own 3D performance-art avatar. "A challenge I have always faced in the art-direction of performance is the unavoidable reality that I cannot "see" myself. It was this restriction that refrained me from ever performing in my own works, and forced me to always collaborate with models, actors or dancers to realize the performances. Now that I have the avatar (I call her "Em"), I have the capacity to direct my own exact form, and analyse and critique my own performance. The other fascinating realization is also that Em obviously does not have a soul (yet! ), meaning that I can subject her to scenarios I would never normally put myself (or any person) through. This has opened up a whole new realm to my approach to the art-work as a concept. 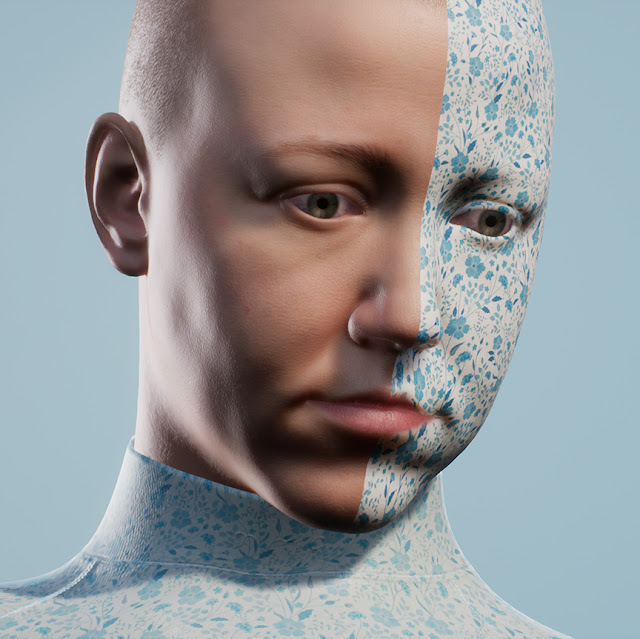 As a first look at the avatar, Flynn has created a 3D campaign "Watermark" which explores concepts of "digital make-up" as well as exposes the texture-mapping of 3D objects. Hermione Flynn intends to produce limited edition concept-collections, which are a simple by-product of the 3D art and performances created. The introduction of 3D will also drastically inform the creative process - from cloth simulations to 3D printing, the products produced at Hermione Flynn will certainly reflect this new era.